Show hours on Saturday January 28, 2017 are from 9:00 a.m. to 5:00 p.m. Please visit the GT Sports Marketing website for more information to purchase tickets. Mel Renfro is a former defensive back who played for the Dallas Cowboys during his entire fourteen-year career from 1964 to 1977. He is a two-time Super Bowl champion winning in Super Bowl VI and XII and was awarded the Dallas Cowboys Ring of Honor. Mel Renfro was also a ten-time Pro Bowl selection from 1964 to 1973, and was named defensive MVP in the 1971 Pro Bowl. 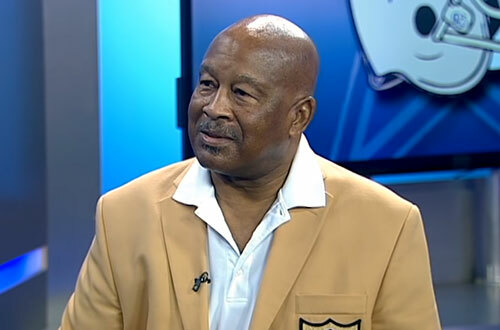 He was also a five-time All-Pro for 1964, 1965, 1969, 1971 and 1973. Mel Renfro was also elected into three Halls of Fame: the College Football Hall of Fame In 1986, the University of Oregon Athletic Hall of Fame in 1992 and the Pro Football Hall of Fame in 1996. PFP Sports Talent Agency is a top booking agent for motivational sports speakers and sports personalities. If you would like to book NFL stars like Mel Renfro for a speaking engagement, personal appearance or special event, you can request Mel Renfro agent and speaker information from PFP Sports Talent Agency or call 800.966.1380.